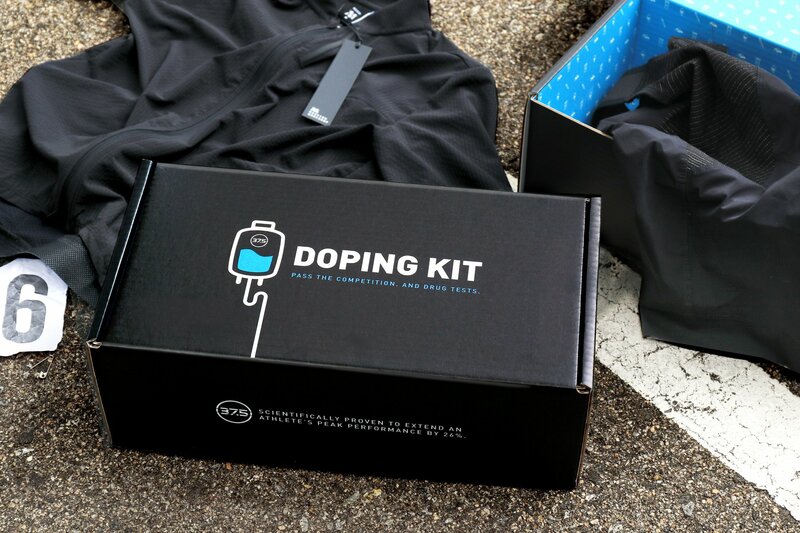 CapoVelo.com | The Apparel Brand 37.5 Wants Cyclists to "Start Doping"
CapoVelo.com - | The Apparel Brand 37.5 Wants Cyclists to "Start Doping"
The cycling apparel brand, 37.5, is trying to raise a few eyebrows by asking cyclists to “start doping” with the launch of their new “Doping Kit”. According to 37.5, their technology has the ability to slow the rise of core temperature similar to an ice jacket, and thus improve a cyclist’s performance. 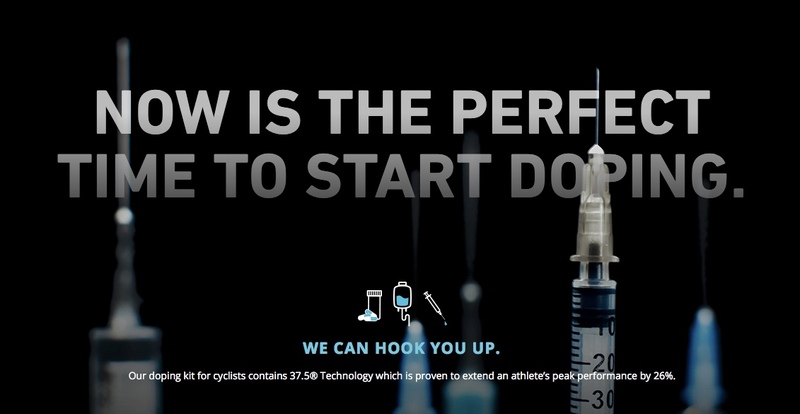 To demonstrate this, 37.5 will be giving a few free doping kits away each day through its new website StartDoping.com. “If we can convince even one clean athlete to start doping with our fabric technology, then it’s all been worth it,” said Dr. Greg Haggquist, chief technology officer. “Hopefully this free sample will get them hooked on doping and then they’ll keep crawling back for another fix,” added 37.5 chief executive Jeff Bowman. 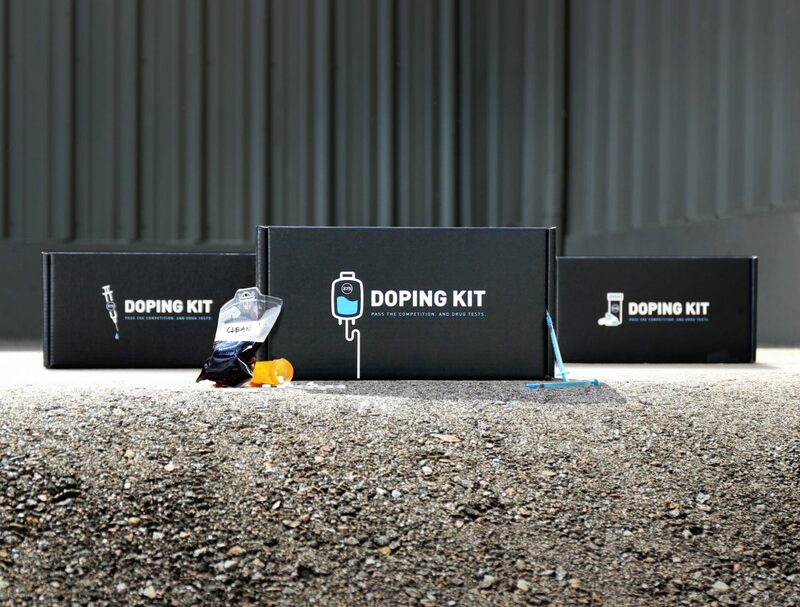 You can learn more about 37.5’s “Doping Kit’ by visiting their website here. To understand how 37.5 Technology impacts human performance, a University of Colorado Boulder peer reviewed study measured 14 elite athletes time to completion, time to maximum temperature, and core temperature when wearing a performance shirt with 37.5 Technology, one without 37.5 Technology, and an ice jacket circulating water at 4°C. The subjects pedaled on their cycles at their respective lactate threshold levels for up to 60 minutes over a three-week period, where each week one test case was performed. Testing confirmed that the test subjects wearing 37.5 Technology shirts were able to perform up to 26% longer than those in the shirt without 37.5 because of the slower core temperature build-up.